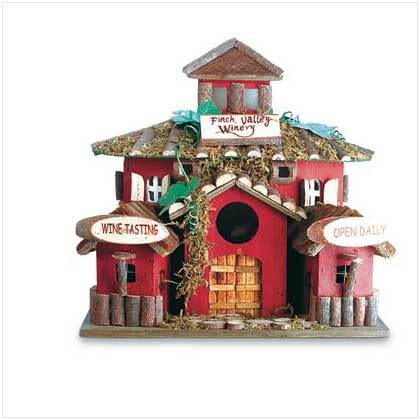 The “Finch Valley Winery” is a favorite feasting place for flying gourmets! Cleverly detailed wood doors, shutters and mossy roof. Item weight: 2.2 lbs. 10 5/8" x 7 7/8" x 10 1/8" high. Wood.